You may remember reading this post, in which I admitted being sidetracked from the tasks in hand due to the absence of Lobelia in my local shops etc. Well, I’ve continued to work on it alongside other projects (these include my temperature blanket and a rainbow blanket, there will be more about these in future posts). On Thursday I put the final stitch in the blocks and it is now ready to be joined. 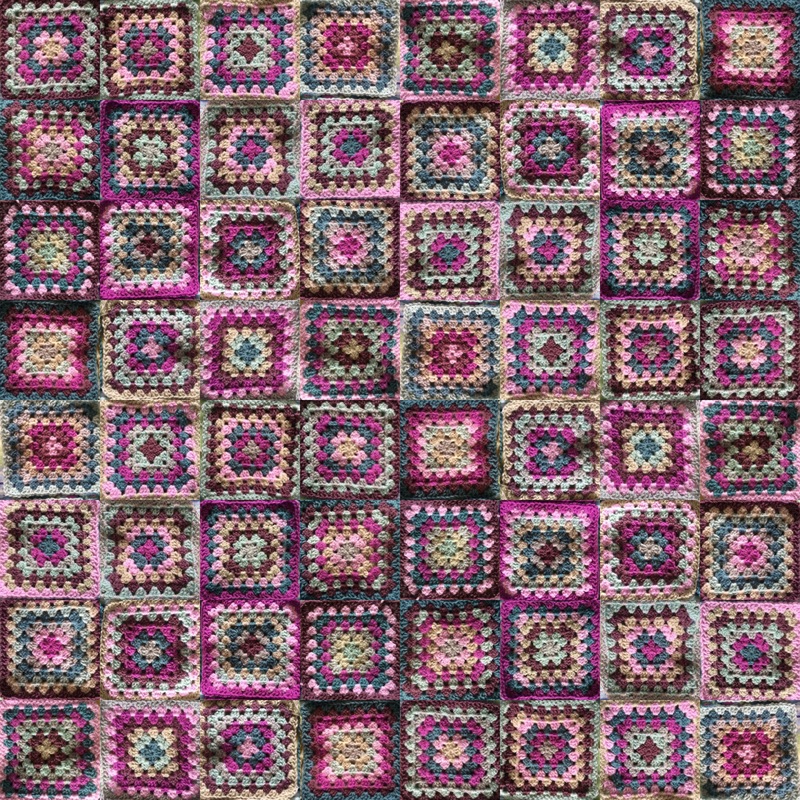 I photographed a few of the blocks and have collaged them into this just to get a flavour of the blanket. I’m really pleased with the outcome – especially as it was a finger twitching emergency that started the whole thing. Stylecraft Special DK (the only yarn stocked by my local shop – which I do like to support) in: Storm Blue, Magenta, Silver, Duck Egg, Grape, Parchment, Clematis. Woo hoo! This looks great!!! Thanks Tracy. I’m really enjoying the unpredictability of the colour sequence. I can’t control the weather 😜.